The federal Coalition said on Friday afternoon, after months of delay, that it had approved a deed of licence to allow the $8 billion project’s developers, Offshore Energy, to undertake resource exploration for the wind farm off the Gippsland coast. It said the licence would allow Offshore Energy to undertake exploration – only – in what are Commonwealth waters between 8-13 kilometres offshore from Port Albert. 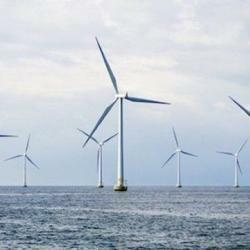 “Through this licence, Offshore Energy will be allowed to undertake activities to assess wind resources and sea bed conditions understand whether an offshore farm is technically feasible,” a statement said. The plans for the ambitious project, first formally unveiled in June 2017 but in the works for another five years before that, propose the construction of 250 turbines – enough to generate one-and-a-half times the energy of the now-closed Hazelwood coal-fired power station. In December 2017, Melbourne-based Offshore Energy announced they had entered into a partnership with Danish outfit Copenhagen Infrastructure Partners, to progress development of the project. Since then, however, the plans have stalled, prompting accusations last month from the Maritime Union of Australia that the Star of the South – which promised to create thousands of jobs – had fallen victim to ideological opposition within the Morrison government ranks. Hardly an outrageous claim, considering energy minister Angus Taylor’s own well-aired antipathy to wind farms. At the time, it was revealed in a Senate Estimates hearing that a federal government evaluation of the project had been completed, a plan for an exploration licence developed, and a briefing and recommendations provided to energy Minister Angus Taylor. MUA deputy national secretary Will Tracey said the exploration licence did not allow construction to start and was simply about allowing the use of floating buoys and platforms off the Gippsland coast to gather wind and wave observations,’ the Gippsland Times reported. “We have a major wind project that would create thousands of jobs and provide clean, reliable energy for more than a million Australian households, but because of their ideological hatred of renewable energy the Morrison government appears to be actively stalling its development,” he said. By finally granting the licence on the afternoon of the last Friday in March, just before it enters into a caretaker period before the upcoming election, the Coalition looks to be making a last-ditch move to boost its renewables credibility, while also reassuring the right-wing rump of the party that it hasn’t completely swallowed the renewable cool-aid. Statements from the energy minister re-iterate his previous mantra that the project had required “careful consideration,” being an Australian-first. The government has also stressed that it has only granted an exploration licence for the offshore wind farm, and was is not providing financial support toward its development. Still, green groups and renewable energy advocates have welcomed the news, in the hope that this “first tick” from the federal government will pave the way to the state approval process and testing of the wind resource. “This is what transition looks like,” he added, noting that the breakthrough follows Thursday’s news of the Delburn Wind farm proposal at a plantation site in the Latrobe Valley – the former Victorian coal hub, which is also where the Star of the South would connect to the grid via an underground cable. Offshore Energy was founded seven years ago, under the leadership of CEO Andy Evans, formerly of Acciona, and former chief of geothermal hopeful Petratherm, Terry Kallis, who chaired the company. Star of the South marks Copenhagen Infrastructure Partner’s first venture into the Southern Hemisphere. CIP has more than €5 billion ($A7.79 billion) under management and invests in renewable energy projects, including two other offshore wind farms.